..so you can ride smoother, faster and with more style. You visualize yourself flowing down the trails, your mind's eye a powerful tool. Expand your visualizations and skill-set with video instruction, where you are in the driver's seat to absorb the technical pointers you are wanting to work on. High quality video instruction focuses on clear visual images with key pointers required for success, many of which you may not have thought of. Whether it's as simple as where your feet are placed on the pedals, or all the bike and body movements required for fast cornering, West Coast Style is the way to find that breakthrough and take your riding to the next level. 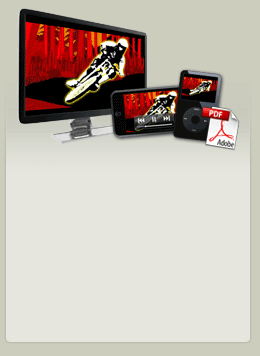 These Mountain Bike Instructional video's are the key to learning and improving your skills. World class mountain bike training and techniques can only be found here. With information based on official certification and training material, West Coast Style Instructional video series offers a comprehensive range of skills. If your not into waiting for a DVD to ship, then simply download individual skills from our store. Delivered as an iPad/iPhone/Computer compatible Quicktime file the West Coast Style videos show the pros demonstrate and master each skill. Watching them perform will inspire and enhance your technique. The videos also take you to some of the finest riding in British Columbia, Canada. Digital Downloads give you to option to focus on the skill you want to master at your pace. NOTE: A few skills have accompanying eBooks that give an in-depth analysis for many mountain biking skills, including where to use the skill, detecting common errors in your riding and progressions to to more advanced levels. West Coast Style ­ Freeride Fundamentals - A Mountain Bike DVD, the second in the West Coast Style series, is all about taking your freeriding skills to the next level. Filmed on the North Shore, Squamish, Whistler Bike Park, and other renowned trails on Canada's West Coast. Forty-five minutes of lively and interactive instruction takes you from Freeride Basics to advanced skills for taking air, riding skinny lines, rolling drop-offs, cornering and flowing smoothly down your favorite trails. West Coast Style - Mountain Biking DVD, is now available in this special, expanded DVD edition. With over an hour of instruction on riding all types of technical terrain. Filmed on, and near, Vancouver's famous North Shore trails in British Columbia, Canada. 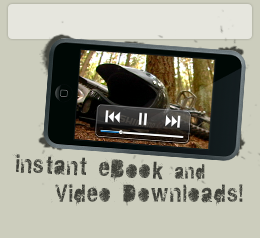 This mountain bike DVD will help you progress your skills as a rider like never before. Over 20 skills are explained, from West Coast Basics to Wheelie-drops.